As the 9th Edition of the Africa Aerospace and Defence (AAD) exhibition and show draws closer, we at AAD believe that a good execution is reflected by the strict adherence to regulations that govern organising and hosting events of a large scale as AAD. We therefore remind our valued exhibitors to take note of this regulations and guidelines. Total adherence to regulations will not only ensure your peace of mind, but will also allow you to realise your objective of delivering an excellent exhibition and activation at AAD 2016. 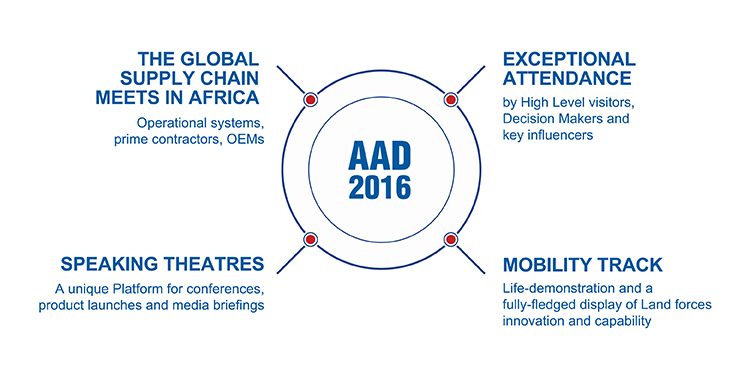 For the first time, AAD 2016 will introduce Engagement Theatres as part of the overall exhibition offering. Presented in theatre form, these areas are ideal for hosting mini conferences, product launches or press briefings. 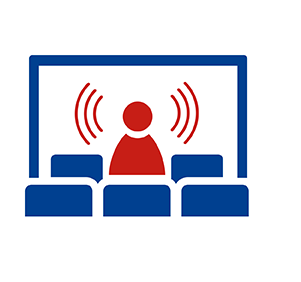 The theatres come fully equipped with a screen and audio visual system, and will accommodate up to a maximum of 50 people seated, for a session lasting up to an hour. 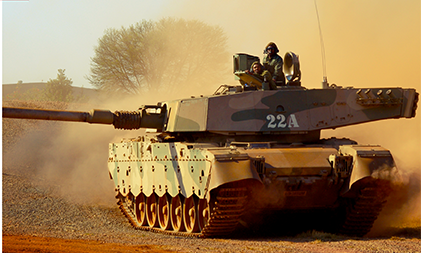 Exhibitors interested in booking a slot should contact the AAD office on admin@aadexpo.co.za for more information. Once again, the 9th edition of the Africa Aerospace and Defence exhibition and show will present the Youth Development Programme (YDP). The YDP is aimed at supporting the Government�s socio economic development objectives through promoting and improving results in Maths, Science and Technology related subjects at schools. The key aspect is to nurture the potential of Africa�s dynamic youth by supporting human capital development efforts within the Aerospace and Defence Industry. Over the years, the programme has seen a steady growth through the support of numerous partners and industry players. The YDP 2016 programme is projected to play a key part in �Unlocking Africa�s Aerospace and Defence Potential�. In particular, the 2016 focus is on widening the footprint and creating awareness to previously disadvantaged youth. The 9th edition Africa Aerospace and Defence (AAD), the continent�s Premier Exhibition and show of Air, Sea and Land will be taking place from 14 - 18 September 2016. The AAD was born from the Aerospace Africa civilian exhibition (the roots of which lay in the original Lanseria air show in 1975) and the DEXSA military exhibition.